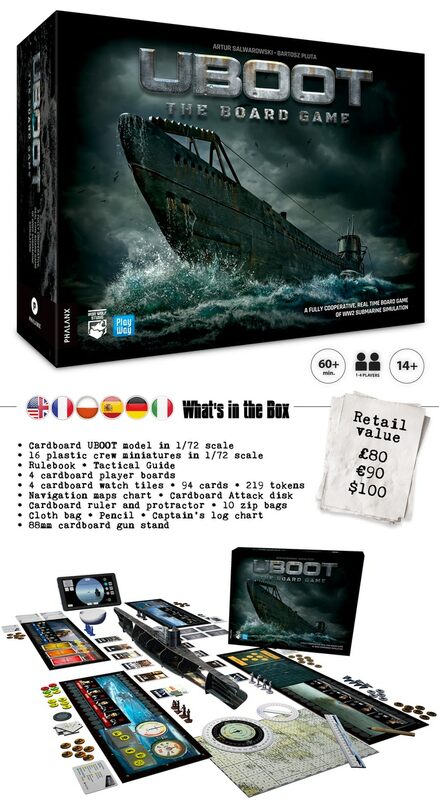 In UBOOT players take on the roles of Captain, the First Officer, the Navigator, and the Chief Engineer on board of a type VIIC U-boat. The game makes use of a companion app, which allows for extreme realism, while also providing a very challenging and nerve biting experience for the players. Teamwork is essential, good decision making and getting the most out of your crew is required to overcome the intense battles that awaits you. Pledges start at £65 (aprox $92) and you can do so here.